YuDigest for Dogs - 300 Tablets is a daily probiotic/prebiotic complex developed to support the natural balance in your dog's digestive system. 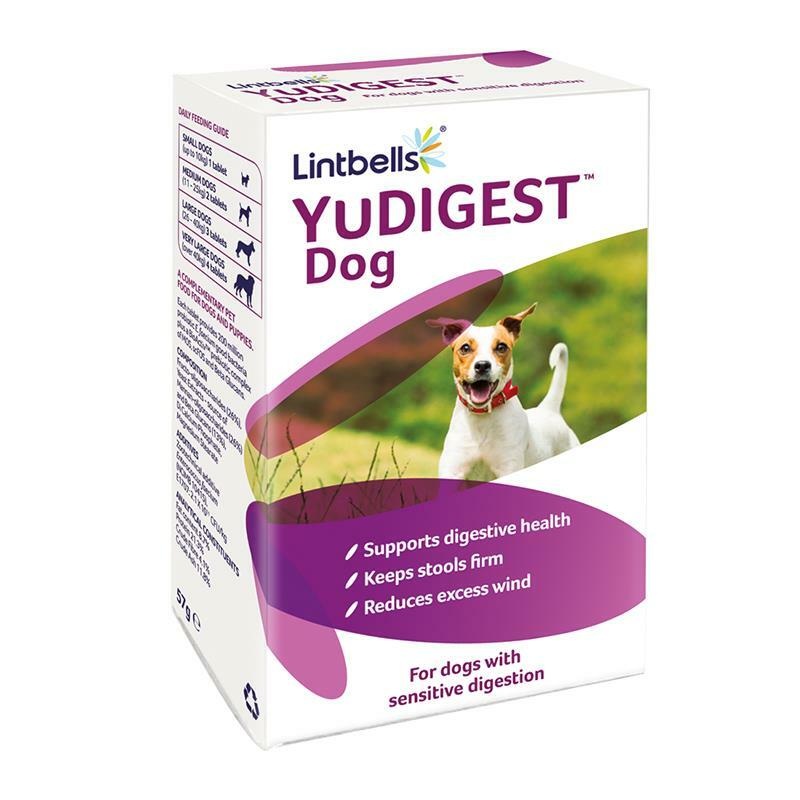 YuDigest for Dogs is the only probiotic for dogs that includes Lintbells' unique BioActiv complex - three natural prebiotics to block bad bacteria and feed good bacteria. I highly recommend this probiotic. My dog loves it, I guess it tastes good, his poop is clean.